Browse our collection of 1 New Elf T-Shirts and more. Designed and printed in the USA. 100% Satisfaction Guaranteed. About this Design you don't want to go to the gym or work out you just want abs...olutely all the cupcakes. so show your love for desserts with this food inspired design that says "I just Want To Have Abs...olutely All The Cupcakes". you don't want to go to the gym or work out you just want abs...olutely all the cupcakes. 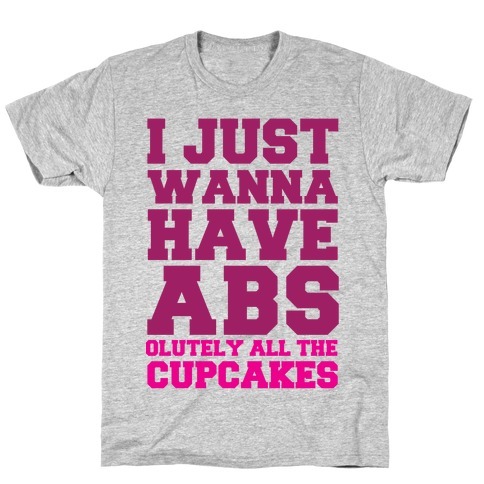 so show your love for desserts with this food inspired design that says "I just Want To Have Abs...olutely All The Cupcakes".